Ministry of Youth Affairs and Sports: NSS volunteers of Shri Guru Harkishan Singh Sec. School, Chadigarh cleaning the area during Swachhata Pakhawada. 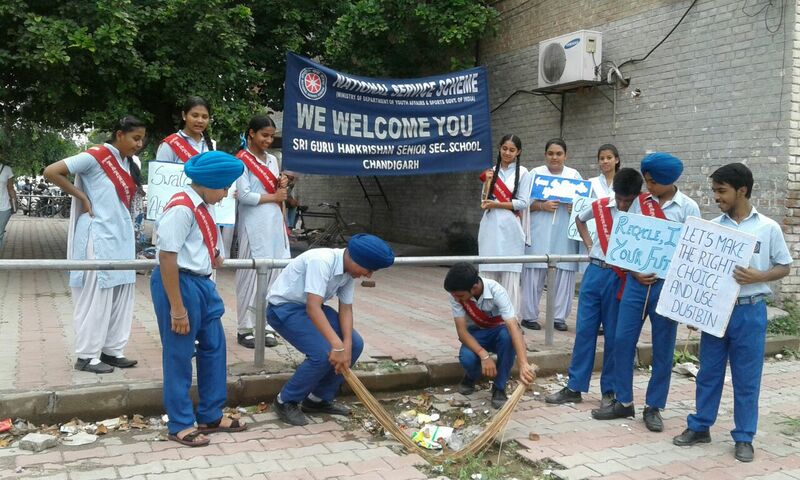 NSS volunteers of Shri Guru Harkishan Singh Sec. 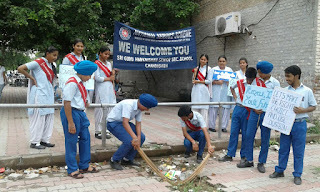 School, Chadigarh cleaning the area during Swachhata Pakhawada.